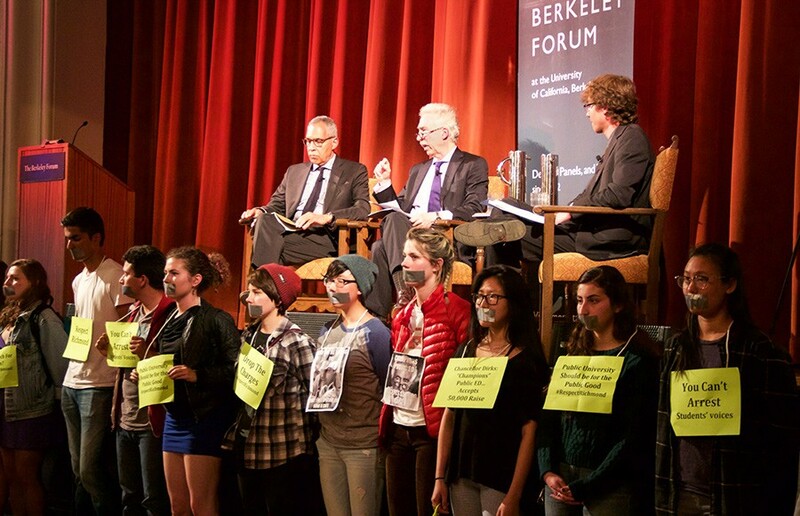 A panel discussion featuring Chancellor Nicholas Dirks and Executive Vice Chancellor and Provost Claude Steele was shut down Tuesday night after a group of audience members repeatedly interrupted the speakers. About 20 protesters, identifying themselves as graduate students of color and allies, chanted and shouted throughout the event, alleging the university’s failure to accomplish its mission of public good. They referenced hardships for black students, the size of Dirks’ salary and the campus’s decision not to tenure environmental science professor Carolyn Finney, among other issues. 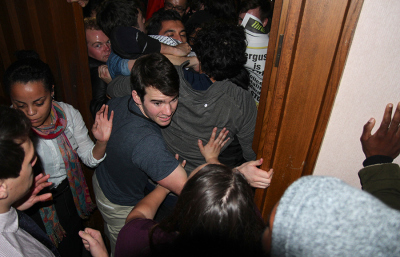 The Berkeley Forum, a student organization, planned the event as a discussion of the meaning and value of public higher education and to address rising concerns surrounding privatization in the face of state disinvestment. 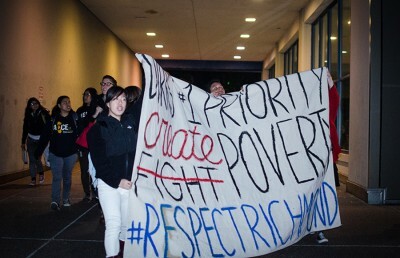 Members of the Respect Richmond Coalition, which is urging the campus to sign a community-benefits agreement intended to protect Richmond community members from potential gentrification as UC Berkeley moves to build a satellite campus in the area, protested the event as well. Students silently lined the front of the stage, mouths duct taped and signs in hand. The crowd was quelled briefly after organizers announced they would reformat the question-and-answer period to accommodate all audience members instead of just the handful who had been preselected to direct questions to the speakers. But shouting and chanting from the crowd resumed after Dirks and Steele declined to comment on certain questions, and the event was shut down. 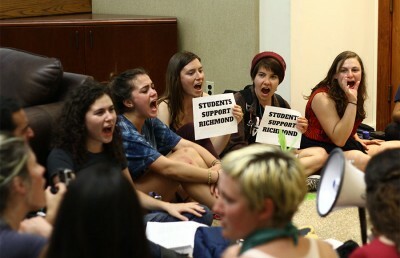 While both Dirks and Steele acknowledged and interacted with the vocal protesters from the audience, they did not comment on the silent protest organized by the Respect Richmond Coalition. The campus has said that it is committed to signing a legally binding community-benefits agreement with Richmond sometime in the future but that it must take certain steps before doing so. Respect Richmond Coalition protesters, though, say the campus should sign a firm agreement immediately. Contact Arielle Swedback at [email protected] and follow her on Twitter @aswedback. A previous version of this article stated that protesters identified themselves as black graduate students and allies. In fact, they identified themselves as graduate students of color and allies.